In Florida, traffic matters can be as minor as a “non-moving” violation that does not carry any points, or as serious as a First-Degree Felony that is punishable by up to thirty (30) years imprisonment in the Department of Corrections. 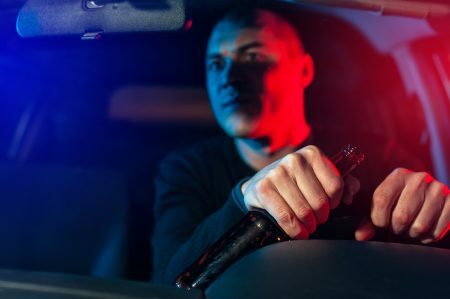 However, even a simple “non-moving” violation can result in major consequences and a driver’s license suspension if the matter is not handled correctly. In Pinellas County, Florida, misdemeanor traffic offenses, moving civil traffic infractions and non-moving traffic citations are handled at the South County Traffic Court Facility and the North County Traffic Court Facility located in Clearwater. Generally speaking, the assignment of a case to either of these traffic courts depends largely on where in the county offense occurred, and which policy agency issued the citation. Traffic related felony charges are prosecuted at the Pinellas County Justice Center located on 49th Street next to the Pinellas County Jail. The attorneys at Russo, Pelletier & Sullivan have nearly twenty-five years combined experience handling traffic related matters in Pinellas County. In fact, a member of our team formerly served as the lead prosecutor in one of Pinellas County’s traffic court divisions. If you have been charged with a traffic related offense in Pinellas County, call our office at (727) 578-0303 to schedule a free consultation to speak with one of our highly experienced traffic defense attorneys.